Provide comfort for the family of Judith Draper with a meaningful gesture of sympathy. 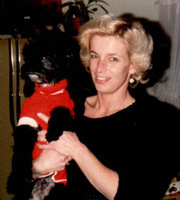 Judith A Draper, 74, of Janesville, WI passed away peacefully February 10th, 2019 at home surrounded by her faithful dog, Alley, and her family. 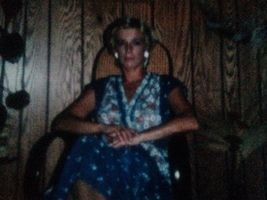 Judy was born in 1944 to father, LeRoy Crawford. She was a proud graduate of Beloit Memorial High School in 1962. Judy married Roger W. Draper September 21st, 1963 in Beloit. He predeceased her January 31st, 2018. 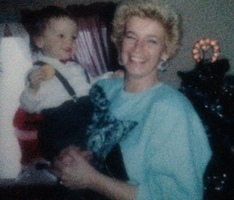 Judy was a devoted and loving mother, wife and grandmother. She loved making meals for her family and spending quality time with us. She also enjoyed going to thrift stores, church bazaars and craft shows and joined the red hat ladies on several parties and trips. She was most proud of her only grandson, Austin Jay. Over Judy’s years living in Beloit and Janesville she was employed at Majestic Theater, Chesters Department Store, The Plantation Motor Inn, Mr. Steak, Robinson’s Cleaners, Nestle’s research (Libby’s), Ray’s Family Restaurant and Pick 'N Save. She was a hard worker and enjoyed working. Judy is survived by her son, Roger Draper, of Janesville, daughter, RoJean (Jody) Wilke of Beloit and grandson, Austin (Jocelyn) Wilke of Cross Plains, and her faithful furry pal Alley. Predeceased by father, husband, close friends Sandy and Hope, and pets Shawn, Mandy, Nikki. Per Judy’s wishes there will be no service. Judy and her family would like to thank Agrace Hospice, friends, family and neighbors for helping over the years and being with us through this tough time. To send flowers in memory of Judith A. Draper, please visit our Heartfelt Sympathies Store. Per Judy’s wishes there will be no service. Provide comfort for the family of Judith A. Draper by sending flowers.